Keep cool on the trail, even when it gets rough. 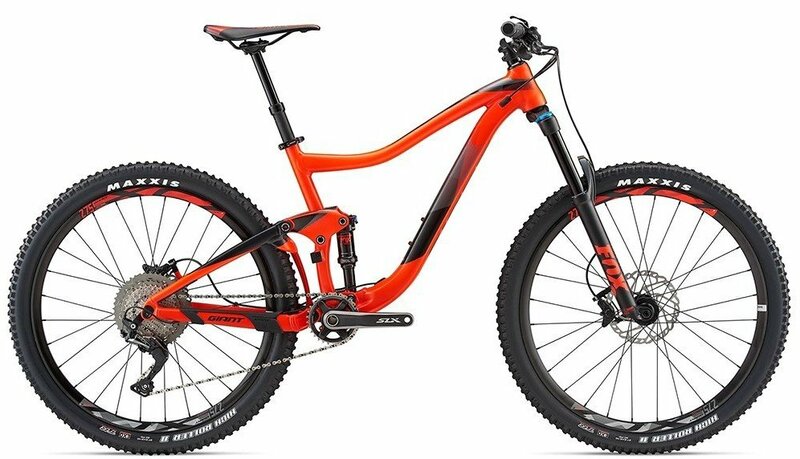 The lightweight yet stiff ALUXX SL aluminium frameset of the Trance 27.5 was designed specifically to optimise the performance benefits of 27.5-inch wheels. It’s engineered with 140mm of proven Maestro Suspension in the rear plus a host of frame technologies including the OverDrive steerer tube and PowerCore bottom bracket. Whether you’re climbing or descending, pinning it at speed or crawling through technical terrain, Trance 27.5 helps you tame the trail. Bikes can only be rented out with a valid photo identity card. If the renter is under 18 years of age, a declaration of consent from the parents/legal guardian must be signed in the shop. The rental period is 4 hours for half a day and 8 hours for a whole day. If the bike is rented for several days, it must be returned to the shop at night, unless otherwise agreed with the shop personnel. BIKE-WELT is not liable for any damage that occurs during the rental period. The renter has the possibility of taking out an insurance policy for of € 5.00 for half a day or €9.00 for a full day, with a maximum deductible of € 50.00. Theft and willful destruction are not covered by the insurance. Insurance cannot be taken out retroactively. Rental bikes are regularly serviced, and there is proof of service for each X- Country Bike. It is the renter’s duty to report any damage or malfunction of the bike to the shop staff immediately. Renters are not permitted to repair any damage to the X-Country Bike themselves. The X-Country Bike must be washed and returned directly to one of the shop staff. The bike will then be inspected by both parties just as when it was rented out.